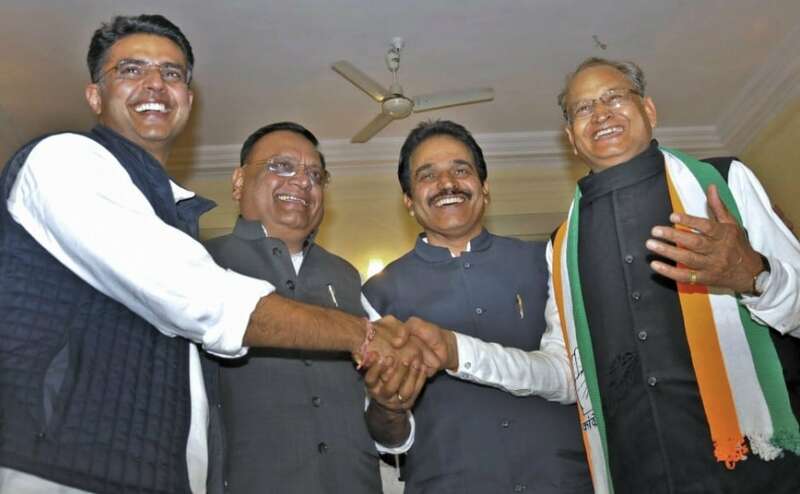 In Chhattisgarh, the Congress won 68 seats in the 90-member House while the BJP was at the second spot winning 15 seats, as per the final results. Congress also emerged as the single largest party in Madhya Pradesh by winning 114 seats, two short of a simple majority. The party will form the next government in Madhya Pradesh with the support of SP, BSP and independent candidates.